The stethoscope is a tool that is mainly employed by healthcare providers to hear the heart, chest cavity, lung, and other different pulse points of a patient. Physicians employ this device as a segment of non-invasive examination processes, like detecting abnormal heartbeats and lung congestion. Nurses and medical students might also make use of the device to hear blood circulation over the course of blood pressure checks and various practices. In the olden days, medical practitioners would plainly put their ears straight on the chest of a patient or back to detect heart or lung sounds. It was considered a normal procedure back in the day. However, in the early parts of the 19th century, a certain French doctor named Rene Theophile Hyacinthe Laennec discovered that testing female patients in this manner felt awkward. Thus, in 1816, Laennec shaped a tube from sheets of paper and employed it to observe the chest of a female patient. He found out that the sounds from inside the body could be segregated and boosted by means of such a cylinder and made examinations less discomforting, less invasive, and simpler to discern. Doctor Laennec developed this listening tool by means of wooden cylinders bowed on a lathe. He made a crucial medical discourse on this new discovery in 1819. The young man’s contemporaries in the medical field persuaded Laennec to call his creation the stethoscope, which was derived from the Greek words for chest (stethos) and to view (scope). 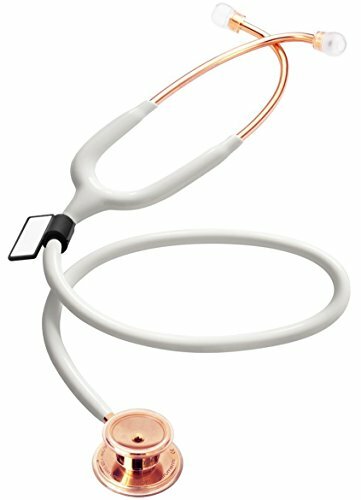 Current stethoscopes are composed of a bell-shaped unit with a translucent plastic diaphragm, a headset made from metal material with 2 plastic eartips, and a section of tubing made from rubber. The diaphragm is positioned straight on the chest or back of a patient. While the patient takes several deep breaths, the sounds coming from the chest cavity are boosted through the bell and the diaphragm. The sounds then move across the hollow rubber tube, the headset, and finally the ears of the doctor or nurse by way of the eartips. Any irregular sounds, like congestion of the airways or fluid retention, can be discerned easily by any expert medical professional. The heartbeat is also audible on this unit, though the diaphragm for a heart examination procedure varies from those used for respiratory examinations. A variety of adjustments can help strain out unneeded sounds so professionals can focus on a particular issue. 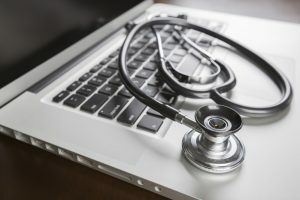 Doctors might also employ a heart monitor to acquire an electronic reading of a heart rate, but a stethoscope can determine other irregularities simply not provided by electronic devices. 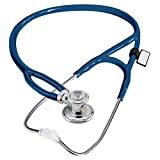 A stethoscope, as mentioned earlier, is the most well-known device used by physicians, nurses, and other individuals employed in the medical field. This outwardly unassuming piece of medical equipment amplifies sounds, which lets healthcare providers gather data about certain conditions of the patient’s body. If a doctor or nurse’s stethoscope succumbs to wear and tear, it is important that he or she should repair or replace said unit. The best suggestions for repair are to concentrate on the expenses involved, its root cause, and its effectiveness. The success of stethoscope repair is crucial since, if the whole procedure is not done in a proper manner, there is no purpose whatsoever in saving the device. Several factors might come into play whenever a stethoscope breaks down. It has a number of parts and difficulty in terms of functions and features. Looking for an expert technician who is capable of repairing a stethoscope is as essential as any lingering aspect of patching up such devices. You can look for a technician near you or find one online. You can also refer to the yellow pages or ask co-workers about their experiences. 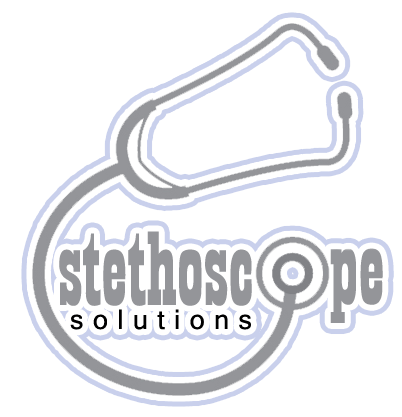 The expenses involved in stethoscope restoration should be taken into account at all times. 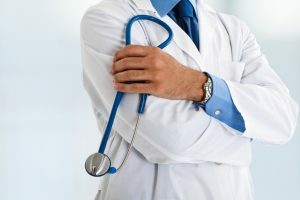 Stethoscopes differ when it comes to price and quality, and the money an individual is willing to dish out when it comes to repairs must rely on the initial investment. A stethoscope that’s priced within the $30 range just isn’t worth repair costs totaling $40. In case the physician invested in a $300 model, repair costs around $50-$60 are rational enough. When the restoration costs much more than the price of the unit, it’s often better to just buy a new one to replace the old stethoscope. 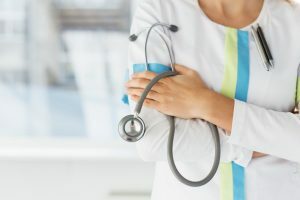 The grounds for patching up a stethoscope can influence how expensive it will be to repair, and it can also impart information on how the device got damaged. If any of the stethoscope’s connecting cables are broken, the fee for its repair is most likely not going to be worth the money you spent on the device itself. For simple concerns like damaged name tags, repairs are recommended. This might be attributed to carelessness on the user’s part, and understanding this might help users to take care of their gear better. Stethoscopes are important for finding heartbeat irregularities as well as discovering probable lung issues and blood pressure conditions. If a healthcare professional has problems with the tool, it is essential to have the device checked and mended by a technician. By keeping track of the expenses involved, the cost it would be for a repair, and how the stethoscope got damaged in the first place, the user can find out if restoration or a replacement is needed. Individuals involved in the healthcare industry make use of their stethoscopes regularly. They use the device a number of times every day. Whenever any device is used on a daily basis a number of times each working day, it should be cleaned carefully and given proper maintenance so it will stay functional for longer periods of time. If great care is taken with the device, it will possibly last longer and sustain its performance. Even the best stethoscope on the market will need some basic maintenance now and then. Since the device offers a helpful purpose to doctors, nurses, and the like, it is crucial to take care of well it. Because the medical field has doctors and nurses dealing with patients with a variety of diseases and illnesses every day throughout their career, this means ailments and germs can be distributed between the patient and his or her physician by means of a contaminated stethoscope. In addition, a stethoscope that was not maintained well can have an unfavorable effect on the acoustic quality that was produced by the device. Don’t worry, though – keeping it clean and maintained to keep its functionality is a rather simple and easy process. Once a stethoscope becomes soiled due to frequent use, it will need to be cleaned before it can be used again. For simple dirt concerns, water and mild soap will do the trick. However, keep in mind that you should not completely immerse the device in water, as this could harm the stethoscope’s components or lead to accumulation of dirt within the tubing. This would lead to more problems in the future and will decrease the efficiency of the device. If in case the unit might have been contaminated, the stethoscope will need something stronger, like cleaning agents. Simple disinfection can be accomplished by means of wiping the device with a clean cloth soaked in a 70% isopropyl alcohol solution. Because the eartips are placed straight into the ears of the user, it is not odd for this component of the device to require more cleaning as compared with other parts of the ‘scope. You can remove the eartips by merely unscrewing them from their places. As soon as the eartips are removed from their binaurals, they can be cleaned thoroughly with a mix of water and mild soap or with a solution of 70% isopropyl alcohol. After cleaning the eartips, they must be adjusted to guarantee that they are screwed securely into the unit’s binaurals. Eartips that may pop out or fall down will be uncomfortable over the course of medical checkups. Stethoscopes are often used directly on patients with significantly contagious ailments that facilitate complete sterilization prior to use. Similar with cleaning the device, the stethoscope must not be completely submerged while being sterilized to steer clear of water accumulation within the tubing, which can lead to a decrease in the stethoscope’s efficiency. For appropriate sterilization, low-temperature gas sterilization is recommended. A majority of stethoscopes have particular instructions for how to perform this procedure correctly without causing more damage to the device. Since extreme temperatures, whether hot or cold, can lead to permanent damage to the device, the unit must never be placed in locations where temperatures vary significantly. Placing a stethoscope for example on the dashboard of a car over the course of a summer or a winter can warp or damage the tubing of the device, rendering it inoperative. Furthermore, placing the device in direct sunlight for longer periods of time can also cause harm to the tool’s retaining rings, diaphragm, and tubing. Even decisions like leaving the stethoscope dangling in a window that faces direct sunlight for 30 minutes can cause damage. To steer clear of such concerns, it is wise that vinyl protectant be applied to the devices once a month at the very least. 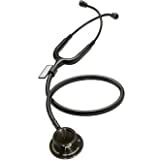 We all know that there are practically hundreds of stethoscope models available today. While this is a good thing in that you will not run out of options, it can be pretty tricky choosing one that best fits your needs. Thus we have included a list of some of the best models in this article, culled from discerning customers and their choice devices. 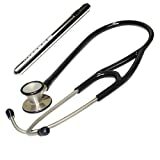 MDF’s One Stainless Steel Premium Dual Head stethoscope is a good device to start with, so it is ideal for beginners in the medical profession and med/nursing course students. It offers a lifetime warranty and even a free parts for life program. The model is latex-free, which is recommended for individuals who are allergic from this material. 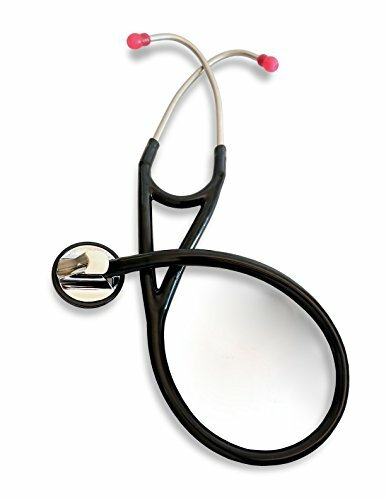 Most of the company’s stethoscopes are also handcrafted to guarantee good all over workmanship. MDF’s ProCardial ERA model is the premier cardiology-level stethoscope among its contemporaries in the business. This is an enhanced model with a lightweight feel, and it includes a comfortable headset plus patented sound-shutting tubing and a convertible chest piece with 3 bells and 3 diaphragms for different ages. 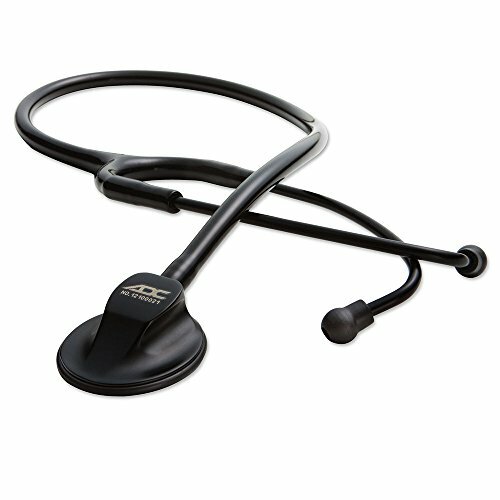 Another good option among stethoscope models, ADC’s Adscope 615 is known and praised for its distinctive design and features. This is often recommended among pros who work in the healthcare field due to its decent acoustics and one-sided cheat piece that was designed with great precision to take on any kind of disturbance at work. RA Bock’s Single Head Cardiology Stethoscope is a great mid-sized stethoscope meant for cardiology usage. It is commended by a number of users for its exceptional sound output minus the heavier weight and expensive price of other brands. It merges the acoustic response of a conventional bell and diaphragm combo into one handy chest piece. For low frequencies, users will have to use light pressure; higher frequencies require a firmer pressure. 27-inch overall length and weighs 7.5 oz. 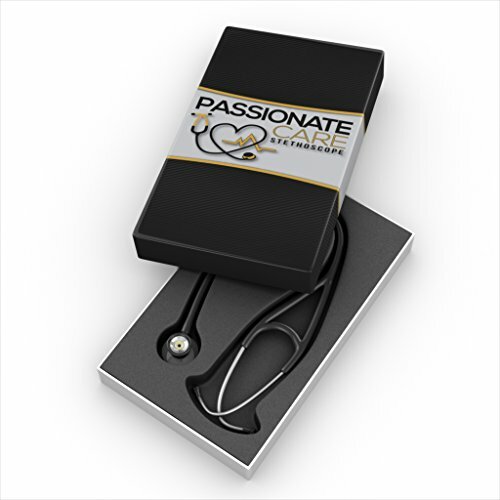 Passionate Care’s Premium Stethoscope comes in a pleasant container with molded foam for extra protection. This is a dual-headed model, so it includes two ends positioned on the chest piece. One of the frequently used tools in the medical field by doctors and nurses, a stethoscope that best fits their requirement and mode of work is a must. This company’s Premium model has what it takes for its loyal customers due to its great sound quality and design. From physicians, nurses, and respiratory specialists down to medical assistants and students, this device will take care of the job. This one is easy to clean, features a decent seal, and has comfortable eartips. 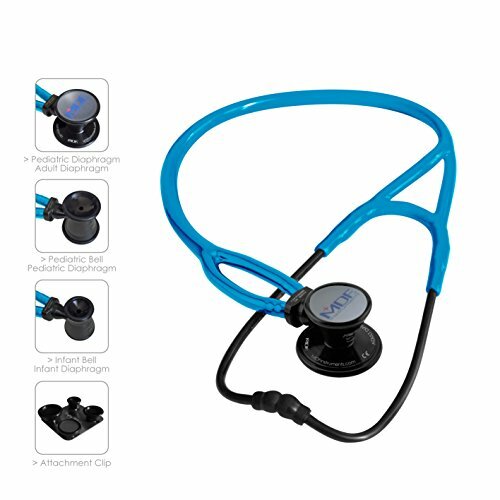 Due to the importance of the stethoscope to every doctor, nurse, or individual working in the medical profession, a quality model with helpful features and functionality is an absolute must. Stethoscopes are used on a daily basis by persons involved in the healthcare profession, thus they need something that is durable yet comfortable to wear throughout a shift. There are different factors that can have an effect on choosing a particular model. Price, the need to hear certain resonances like those from the lung and heart, work locations, and regularity of use will all have an impact when it comes to buying decisions. While higher-end stethoscopes have more features compared to standard models, they can be pretty expensive. Hence if you are a student or a beginner in the medical profession, you may want to make do first with a basic model, then eventually graduate to multi-featured ones as you advance in your studies or profession. There are affordable and mid-priced ones that also offer decent acoustics/sound quality and that are perfectly capable of shutting out external noise and capturing smaller heart, blood pressure, and lung sounds.